The H-1B category is for persons who are coming to the U.S. to be temporary workers in a specialty occupation. To be considered eligible for H-1B, the position must require at least a Bachelor’s degree. Employment approval is granted through the U.S. Citizenship and Immigration Services (USCIS) and is job specific as well as employer and department specific. The H-1B status may be granted initially for up to a three-year period with a maximum total stay of six years. Workers in this category can fill permanent positions, but must leave the country at the end of their authorized period of stay. A person in H-1B status is considered to have dual-intent with regards to immigration. This means that while in H-1B status, workers may file for a change to another immigration category. H-1B is often the category used while in the process of applying for U.S. permanent residency. At the earliest, the International Studies may submit an H-1B petition to US Citizenship and Immigration Services 6 months before the intended beginning effective date of the H-1B. The H-1B application process is very long and requires much documentation from both the department and applicant. It is recommended that departments and applicants begin any new H-1B application, extension, or amendment as close to 8 months in advance of the intended start date as possible. If timing is a critical issue such as with a new professor hired in the summer months who must begin work at the beginning of the fall semester, departments have the option of filing for Premium Processing. Premium Processing guarantees a decision on an H-1B petition within 15 days of the receipt by US Citizenship and Immigration Services of the I-129, H-1B application. Refer to the H-1B packet under the forms section for the current fee structure. Please refer to the H-1B Application Packet for the H-1B application procedures. The H-1B Application packet is given below at the end of this page. International faculty, staff, scholars and students are required to notify International Studies of any address changes. Additionally, all faculty and staff in H-1B status have to report any address change directly to the Department of Homeland Security using the AR-11 Form within 10 days of a change of physical address. H-1Bs are only valid for a maximum of 6 years. H-1B holders who have pending Permanent Residency Applications may be able to extend their H-1B status beyond the 6-year limit, but extensions beyond 6 years are generally granted for one year at a time. If the H-1B holder has not left the country since the most recent H-1B Approval, they are valid to stay in the country for the time period listed on the H-1B I-797 Approval Notice. If an H-1B holder has traveled outside of the U.S. since obtaining H-1B status, they should have an I-94 card in their passport that notes their H-1B status and an end date of the status which matches the end date on the H-1B I-797 Approval Notice. The I-94 is the white card which should be stapled inside the passport next to the most current H-1B Visa. As long as the H-1B holder extends his/her H-1B status before the end date listed on the I-94 or on the H-1B I-797 Approval, they will be able to remain in the United States. If you will leave the program earlier than the end date on your H-1B I-797 Approval Notice, you must inform International Studies. H-1B holders are not allowed to work for any other employer or in any other work location other than those that are authorized on the H-1B I-797 Approval Notice. An H-1B Holder may transfer to another employer as long as the H-1B holder is currently in valid status and the new employer files an H-1B application in a timely manner (before the intended start date of new employment and before the expiration of the current H-1B Approval). Before taking new employment, talk to International Studies. 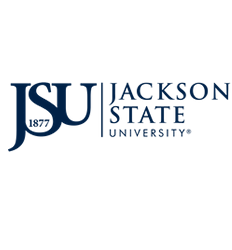 International Studies must withdraw or cancel your H-1B when you end your employment with Jackson State University. The withdrawal of the H-1B petition may affect your employment eligibility with your new employer. An H-1B Holder may renew their status for another three (3) year period, if applicable. The renewal process should begin at least 6 months before the expiration of the current H1B. Please click to download your H1B forms.